New England remains one of the most vibrant places in the country for the technology industry. While many of the area’s largest tech companies are located in Boston and its surrounding environs, the IT sector thrives throughout the region. It provides a great place to work for professionals and this supply of talent helps new and existing tech firms achieve success. 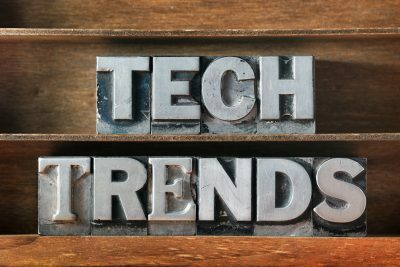 Let’s take a closer look at a few technology industry trends as they relate to the New England area. Hopefully, it offers a few insights for a better informed decision on either your career or business. According to the U.S. Department of Labor’s Bureau of Labor Statistics, the greater Boston area is outperforming the rest of the country when it comes to technology industry employment. Over the one-year period from April 2016 to April 2017, the number of IT jobs in Boston increased by 1.2 percent. The United States as a whole showed a two percent decline in technology employment over that same period. This performance compared against a national decline bodes well for future job growth in the Boston region. When comparing the top 12 metropolitan areas, Boston ranks at the top for overall employment among the non-Sunbelt metro areas on the BLS study. The New England Institute of Technology recently issued the results of a survey of IT industry professionals looking the regional outlook for the high-tech industry. In Rhode Island especially, companies are struggling to find qualified technology candidates able to meet their needs. The study also highlighted the lack of tech pros experienced in enterprise resource planning (ERP) software. The survey also highlighted the hottest technologies in the region, including web services, database services, architecture and integration, as well as mobile and open source platforms. Matching the industry as a whole, cloud computing and cybersecurity continue to grow in importance. Mobile tech and the Internet of Things are also changing the way New England businesses use technology. There’s no denying New England continues to be a great place for technology professionals to grow their careers and/or businesses. Are you looking for a strategic IT staffing partner? If your organization is looking to add to its technical staff, talk to the knowledgeable team at The Ceres Group. As one of the top IT staffing agencies in the Boston area, we have the qualified candidates able to meet your needs. Contact us today to request top IT talent for your team.